#MyAttitude - The Rio Fragrance! A while back now (yes I am feeling the guilt...!) 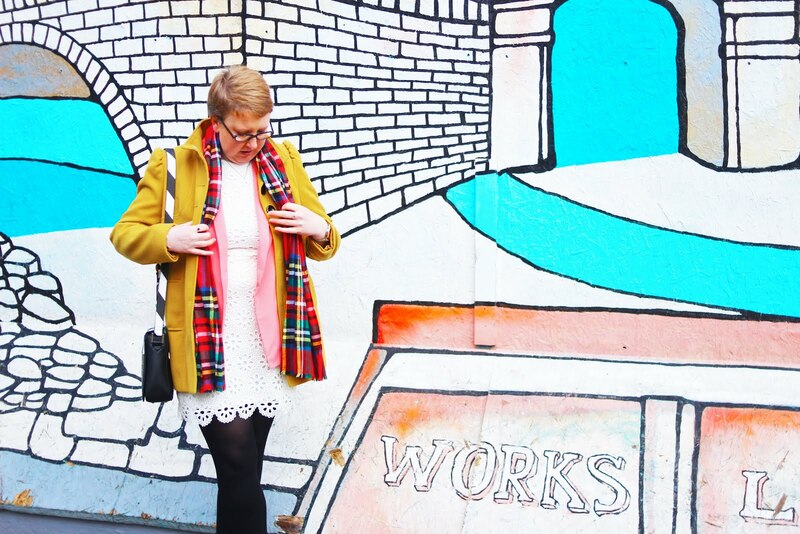 the wonderful ladies behind Blogging Gals tweeted out about an opportunity to work with the team behind So....? Fragrance. I immediately tweeted my interest and was surprised to receive an email from Kandice who works in their marketing department! I was delighted to be chosen and couldn't wait to pick out my fragrance! In the end I went for 'Rio' as I just loved the look of the packaging! "Rio reflects the vibrancy of the sun soaked city...with zesty top notes of pineapple, mango and melon, a tropical heart of hibiscus dance on the nose, before settling into fragrance which is both enigmatic and exotic.."
I have paired this fragrance with my favourite pineapple cropped jumper, I instantly thought of this when planning the outfit for this post. Brings to the forefront the pineapple notes in the perfume and body spray. Summer was on my mind and I couldn't resist popping in a pair of denim shorts, sunglasses and of course suncream! #MyAttitude is all about how a certain fragrance makes you feel and how you choose to build a look based on a particular So...? Fragrance. 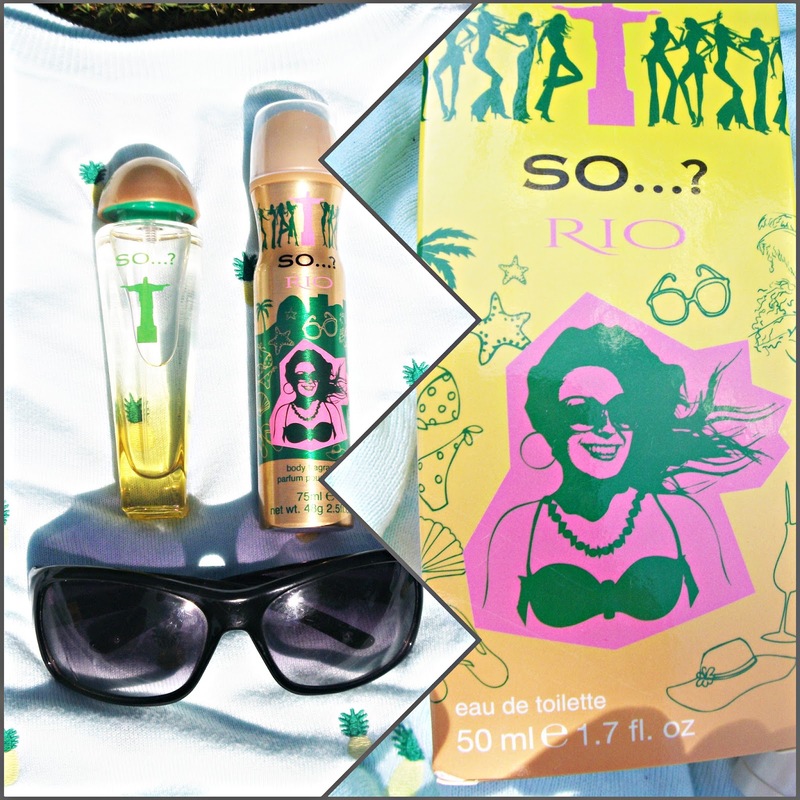 For this Rio Fragrance, it reminds me of the Rio Carnival, sunshine, music, happiness, amazing costumes and an amazing atmosphere. All I need to add to my outfit would be a pair of wedges and I'd be good to go! I hope you've enjoyed seeing how I style up #MyAttitude Rio Fragrance. I really enjoyed styling it up and the fragrance itself smells amazing, with its citrus, pineapple, mango and melon top notes, heart notes of jasmine, orchid and hibiscus and base notes of amber, vanilla and musk. 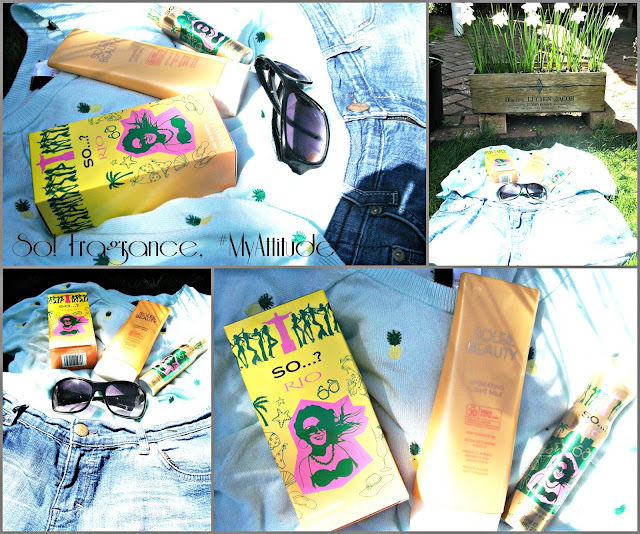 It's the perfect fragrance for Summer and makes me all happy inside! I'd love to know how you'd style up your own fragrance! What would your #MyAttitude look be??? Leave me a comment below! *PR Sample but all fragrance related opinions are 100% mine!